I have eagerly been waiting for September to arrive. There are few things in this world that speak to my heart + soul like crisp air on my skin + crunchy leaves beneath my feet. The closest rival would be a cozy, nook where I can hide with my thoughts + a book + a cup of hot tea. 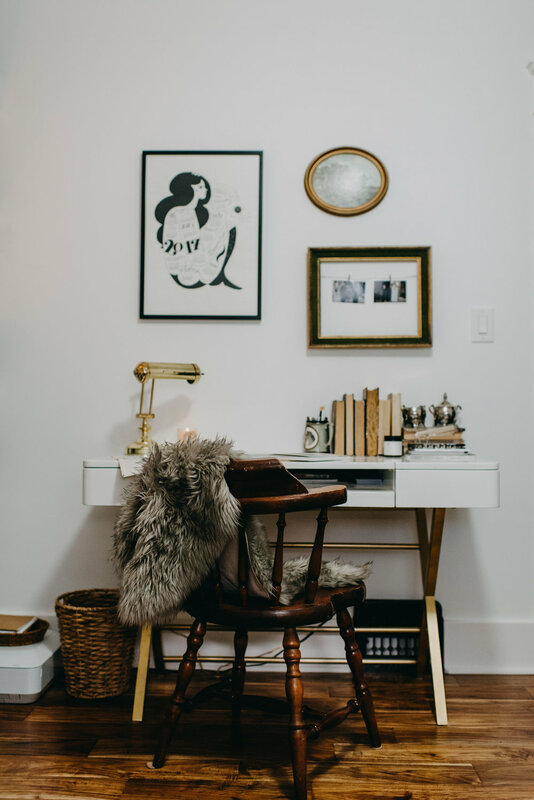 With that being said, it seems only fitting to share my home office & collide all my favourites in time + space as one. First signs of autumn, meet my office nook. 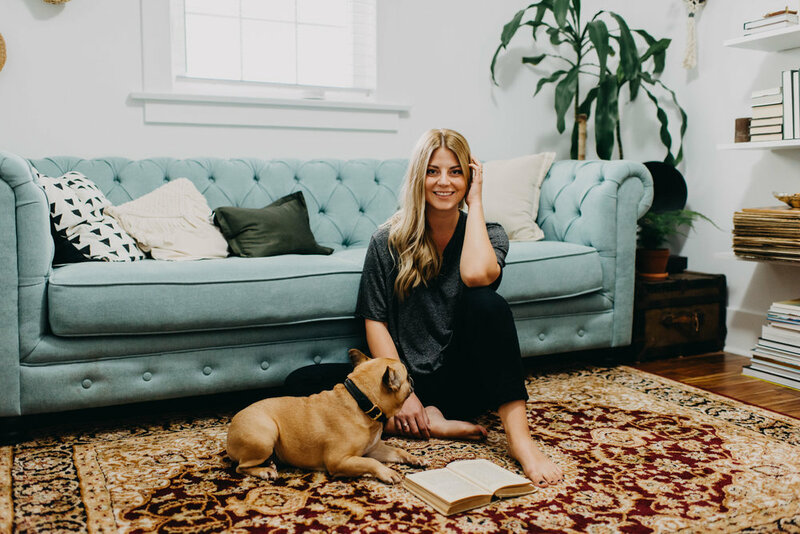 My little home office is perhaps the most eclectic room in our home with its boho flare & velvet tufted sofa (see my inspiration here). The only change to the original layout of this room was the removal of an exterior window that faced into our master closet. Don't let that statement fool you though, this space did get a major (& necessary) inside-the-wall facelift (new insulation, new electrical, etc). If you don't believe me, look at the second photograph in this blog post. Disclaimer: I actually miss all the wallpaper that once graced the walls of our home. Another project for another day. 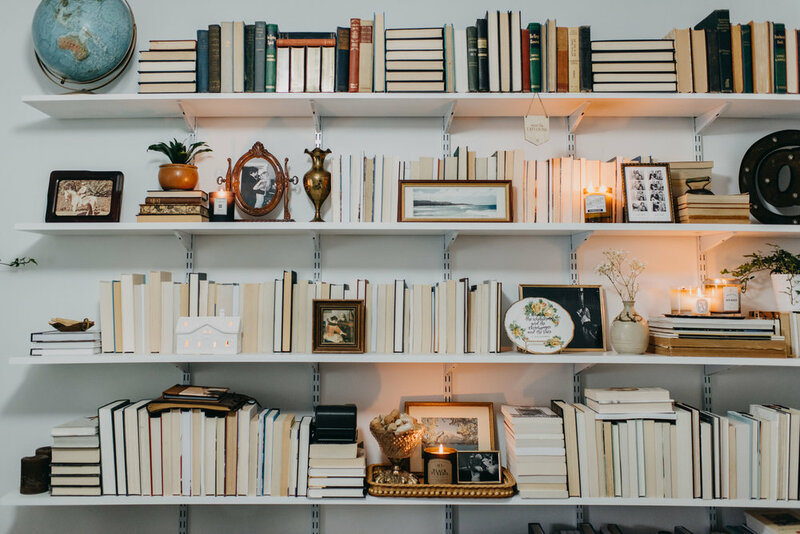 TIP: If this photo has inspired you to turn all your books around to achieve a monochromatic heaven let me give you one piece of advice... Organize them in 'to-read', 'read-and-will-never-read-again', & 'often-needed' piles. Trust me, this will make your book searches tremendously easier! 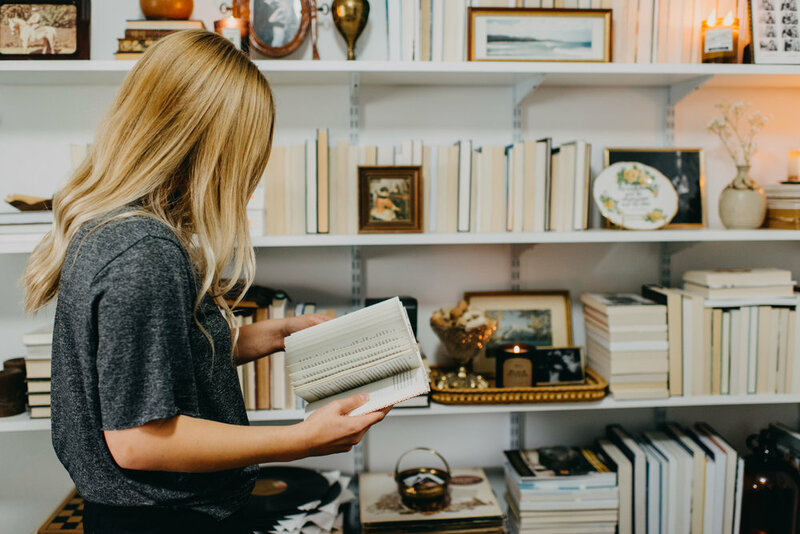 As you may expect, many items in my office are garage sale + antique shop finds, but there are some items you can still purchase! I have linked them below (& shared some other similar finds). In my opinion, no room is complete without a family heirloom. This old, wooden chair is the only one remaining from a dining set that was once situated in my father's childhood farmhouse.